Did you think Airbus' Pop.Up flying taxi concept was a little drab? So did Audi. 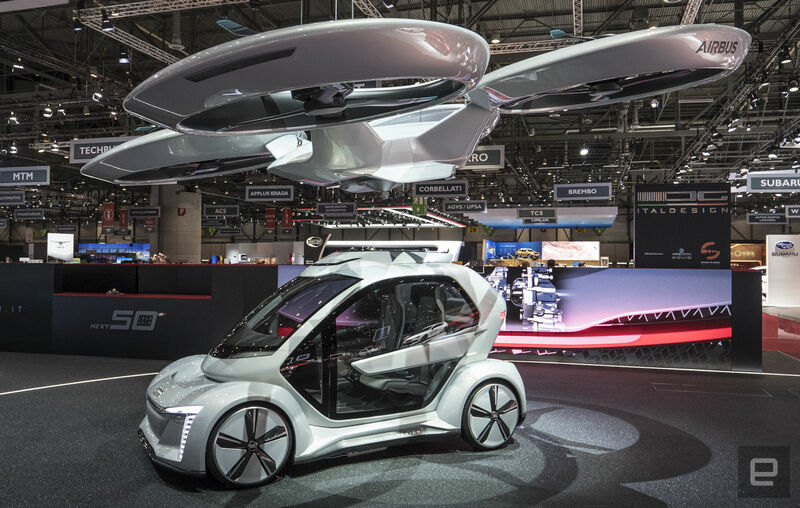 It teamed up with Airbus and Italdesign to unveil Pop.Up Next, a reworked version of the two-seat autonomous vehicle concept. The new version is more stylish than the mostly functional original, and borrows more than a few cues from Audi's current design language. However, it should also be more practical -- it's supposed to be "significantly" lighter than the original, which is rather important for a hybrid passenger drone. The core concept remains the same. Pop.Up Next revolves around a passenger pod that attaches to a skateboard-like platform that drives around town, but hooks up to a drone for times when flying would be more convenient. 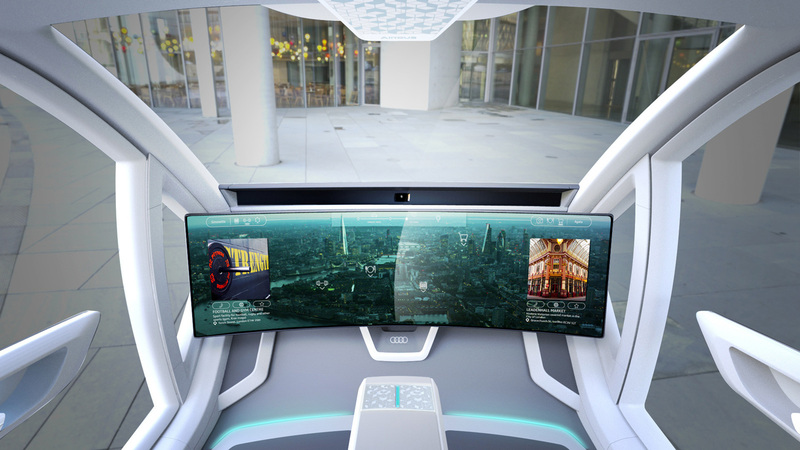 As a passenger, you'd stare at a 49-inch touchscreen that uses face recognition, eye tracking and voice recognition for interaction. It's still not certain if or when the concept will see production. There are any number of hurdles beyond the technology itself, such as legal frameworks, infrastructure (you'd want safe places for the ground-to-air transition) and, of course, business models. Right now, Pop.Up Next is more about showing what transportation could look like in a fully autonomous future.